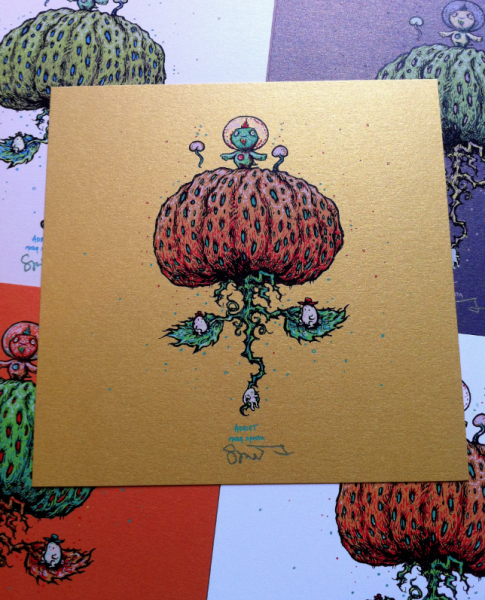 Check out these 2 new mini prints that have been added to the Shop. Tweek the Bug and Adrift are each 7″ x 7″ screen prints, and they come in a variety of colors. The mini print packs also come with a few smaller prints, stickers, bookmarks or whatever else we have lying around. 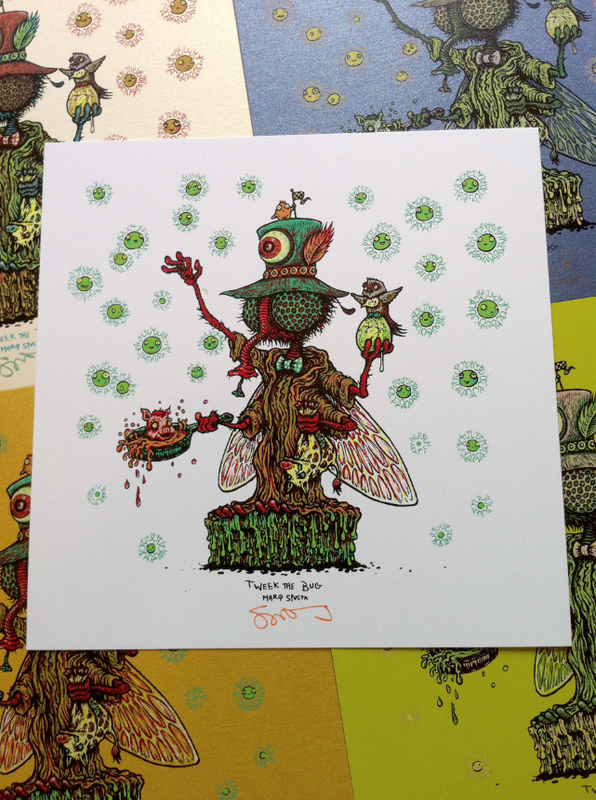 Along with these 2 new prints, we’ve also printed many new 5″ x 5″ screen prints and even more varieties of the Bliss Bug mini prints. Great job on the new mini prints Marq! All the extra mini’s you made make these even more desirable.